Historically, Apple has always defended iPhone’s lack of Flash support by arguing that it’s too processor and power intensive, and that the cut down mobile version of Flash (Flash Lite) just isn’t up to the job. With Moore’s Law kicking in (faster smartphone processors) and Adobe working hard to optimize Flash for the latest mobile chips, this argument is holding less and less water. In the video demo below, we can see Flash performing pretty well on Palm’s Pre smartphone, a device that shares much under the hood with the latest iPhone 3GS. Instead, as I’ve argued previously, Apple has a very different motive for keeping Adobe Flash away from the iPhone. 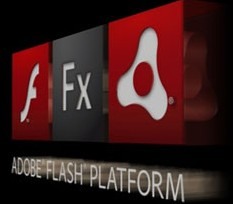 … as we all should know by now, the real reason why Apple doesn’t want to embrace Adobe’s Flash is that it would offer third-party developers an alternative “runtime” on which to develop and, perhaps more importantly, distribute apps for the iPhone, bypassing Apple’s control (and that of its partner carriers) and the iTunes App Store itself. And we can’t have that, can we? Where all of this leaves Microsoft’s own Flash competitor Silverlight on mobile is anybody’s guess, although probably not in the best of shape. While Nokia is partnering with Redmond to bring Silverlight support to Symbian, Microsoft itself is simultaneously supporting Flash for Windows Mobile, such is the anbundance of exciting Flash-powered content on the Web.